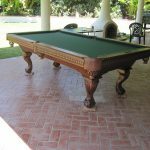 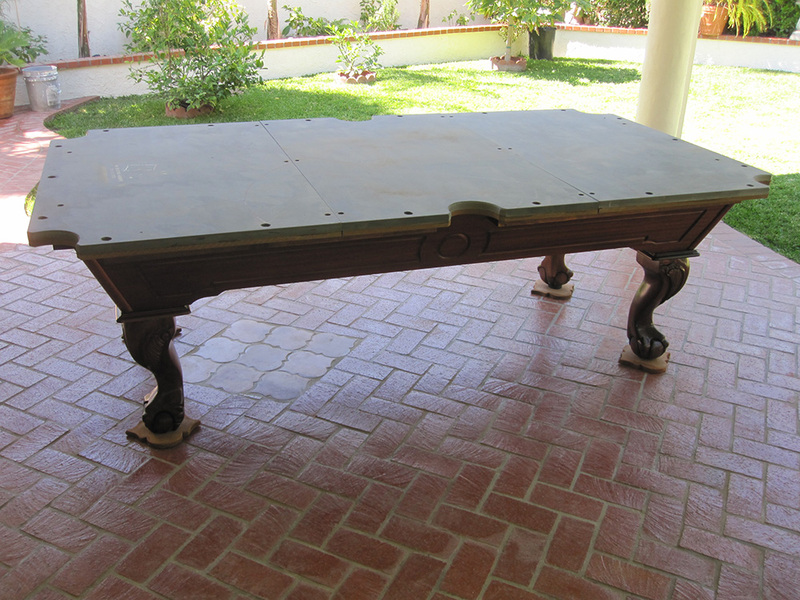 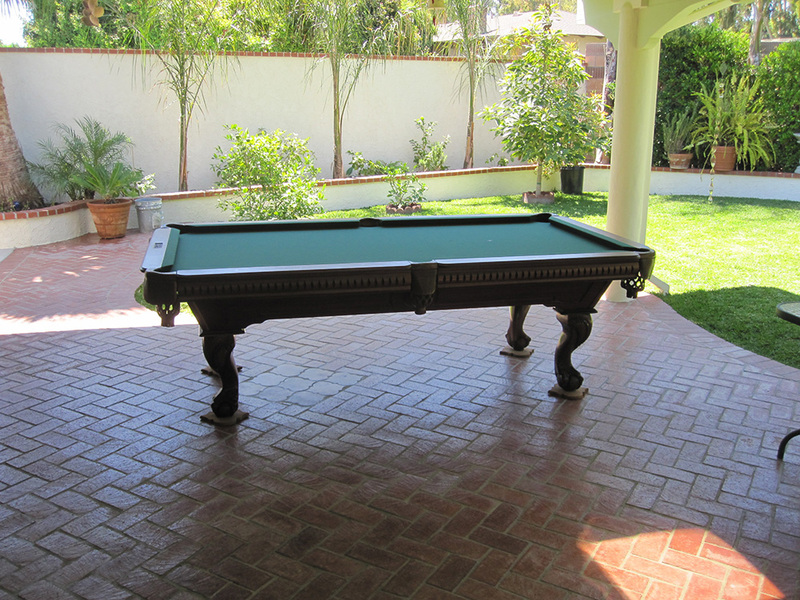 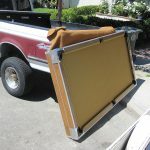 We delivered this beautiful 8′ pool table to a cool couple from Costa Mesa, CA. 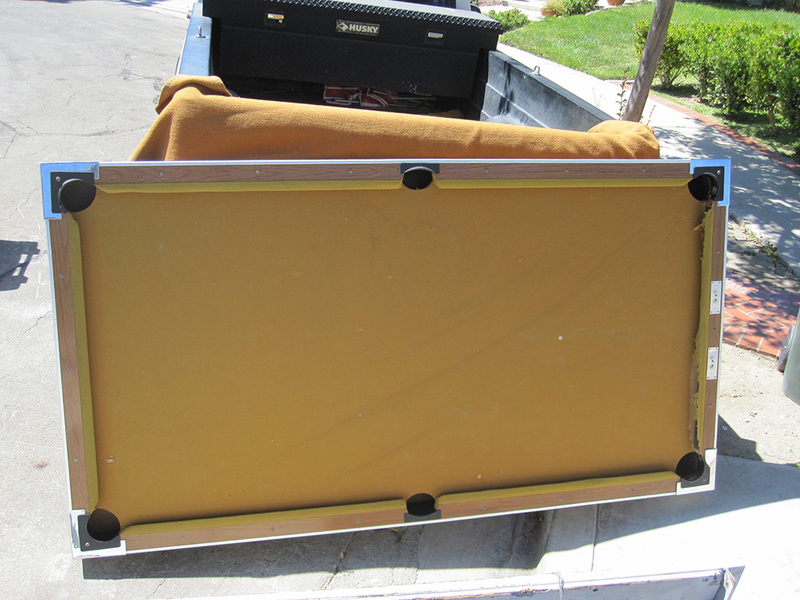 The old “non-slate” pool table was being given away to one of the contractors doing work for the homeowners. 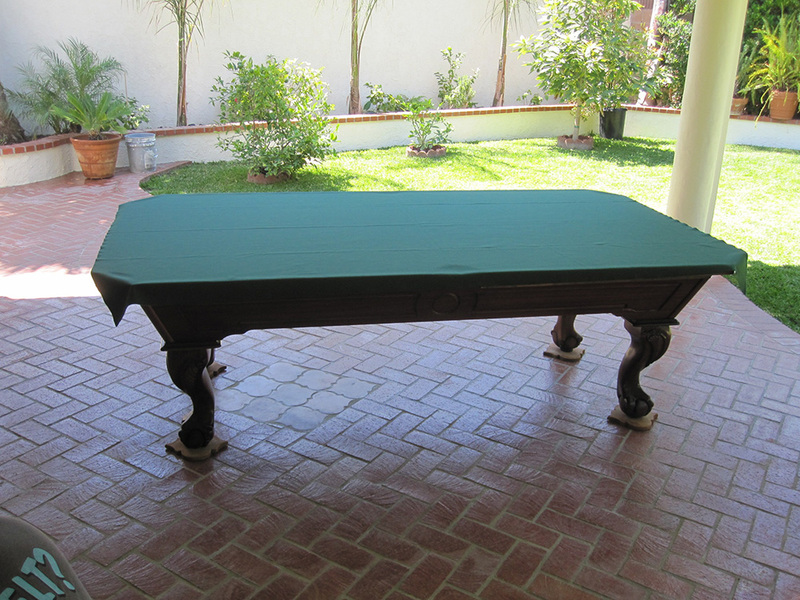 John and Denise had recently inherited this 1960’s “non-slate” pool table with the home. 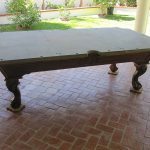 John found about us and was originally just interested in refurbishing the old table by putting new cloth and cushions on. 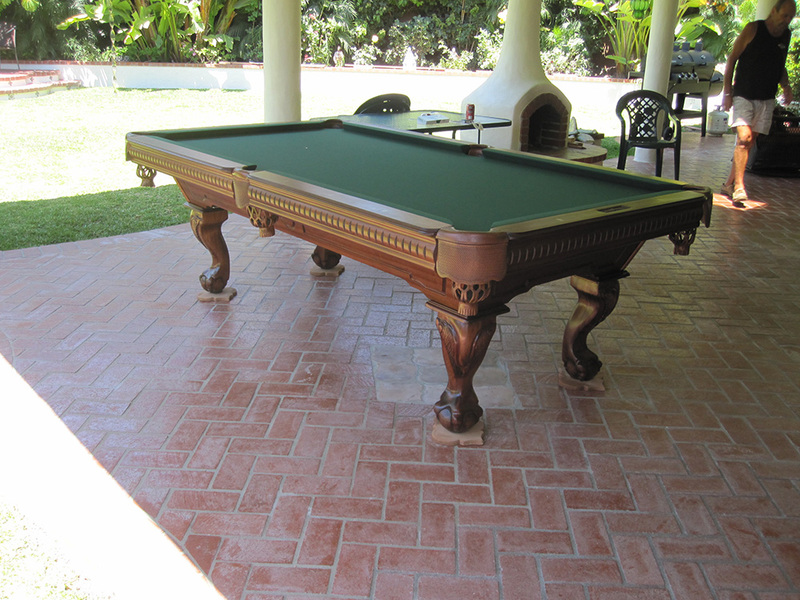 But after talking with Rory for a while about putting money into a pool table that wasn’t even slate. 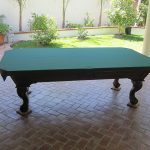 John decided to embark on a new pool table search. 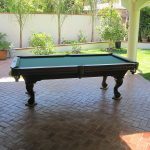 After visiting with a couple of Orange County pool table dealers and being really turned off by the “used-car” salesman-like treatment. 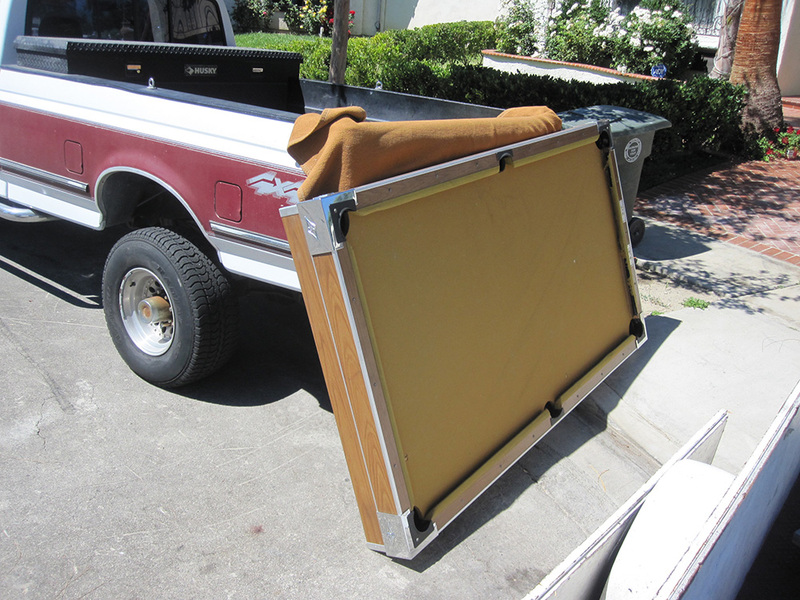 John decided to buy from us, where he was treated with a “no-pressure” approach.